A transmission control unit or a TCU is an essential electronic device present in almost all modern vehicles. The device basically utilizes the data that is generated by the sensors. These data can be used by the engine control unit as well as shared with the transmission control unit to carry out certain functions. In case the transmission control unit of your vehicle fails, you can experience a variety of different problems which is why a properly functioning transmission control unit is important for your vehicle. In the latest designs, you will be able to troubleshoot the transmission control unit faults and failure with the help of the trouble codes that are generated. The codes can be effectively scanned with the OBDII scanner which can help you with understanding the problem associated with transmission control unit fault. The problem may be associated with the transmission control module or the sensors from which the readings are transmitted. Therefore, it is important to diagnose where the problem lies before attempting to fix it. First of all the codes could be scanned. The check engine light can also be an indicator of something wrong happening in your engine system. The average replacement cost of the transmission control unit is between $600 and $750. The transmission control module itself is priced between $580 and $610, while the labour cost can go as high as $150. The costs associated with the replacement of the transmission control unit in your vehicle depends on a number of factors, such as the design and type of your vehicle, the company and the parts that need to be replaced. 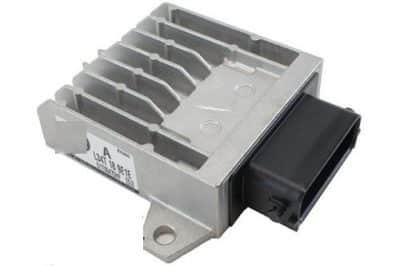 On average for most vehicles, the cost for the transmission control unit module itself ranges from $580 to around $610, excluding the labor cost if you are planning to do the replacement by yourself. In case you are hiring a mechanic or a vehicle electrician to do the job, you will have to consider the labor costs associated with it, which can be as low as $35 and as high as $120 depending on the place from where you are getting the replacement. The transmission control unit or TCU is an electronic device similar to the ECU or the engine control unit. The functionality of the module, however, differs, as the TCU is basically responsible for carrying out the operations of transmission and transaxle properly. The transmission control unit basically takes in the information that is produced in the form of sensed data from a number of different sensors, which is then processed and manipulated to produce certain signals and commands. These commands are transmitted to some other components to ensure proper operations of the vehicle. the TCU module is a small computer that is capable of processing and controlling various components electronically. It may also exchange some information that is produced by the engine control unit to carry out some of the functions. TCU module is also responsible for gear shifting in your vehicle, which makes it significantly more important. There are a number of different input parameters that the transmission control unit receives from the sensors and the engine control unit. With the help of these inputs, the transmission control unit is capable of determining the speed of the vehicle and the slope and elevation of the vehicle during the drive. Depending on the making and design of this control unit the receiving datasets may differ. However, in general, the control unit may receive the information and sensed data of fluid pressure, cruise control, brake lights, fluid temperature data, throttle position, turbine, kick down switch, wheel speed, and vehicle speed data. With the help of these datasets, the transmission control unit is capable of generating information on and information for the torque converter clutch, shift solenoids and locks, engine control unit and many other components. Where is the transmission control unit located? The location of the control unit is different in different vehicles depending on the design. You may be able to locate the TCU of your vehicle under the hood in the distributor cap in most cases. In other cases, the transmission control unit may be located in under the dashboard or under the steering wheel. The best approach is to refer to the service manual to know the exact location rather than looking for it everywhere. It could be located in the rear of the case inside the transmission under the end cover. In some vehicles, it could also be found on the driver’s side in the plenum chamber, below the engine control unit housed in an E-Box. How to replace the transmission control unit? The gear changing is a function of the transmission control unit which makes it an essential component of the engine system in automatic vehicles. The transmission control units have a durable age and it can easily keep up with time. However, it can go bad as the vehicles age and due to certain reasons and may require a repair. Too much heat generated from the automatic engine can also damage the transmission control unit and it may require a replacement. You can replace the transmission control unit easily by following this easy step by step guide on how to replace your TCU. Retrieve the service manual catalog provided by your manufacturer. Make sure that you have all the tools that are required for the replacement. Locate the transmission control unit of your vehicle by referring to the service manual. Remove the connections of the battery entirely. Shift your gear to neutral and apply the emergency brake. Clear your access to the distributor cap by opening the hood and looking for it on over the engine. Clean the mounting area properly and drain the control module fluid as a part of regular maintenance of the transmission control unit. Remove the distributor cap without sparking the plug wires. Gently pull out the defected transmission control module. Install the new transmission control module. Close the hood and take a test drive. The diagnosis of a bad transmission control unit starts with observing the symptoms that are expressed by your vehicle. In most cases, you should be concerned if the engine of your vehicle is bucking or stuttering during the drive. To check it physically, you should disconnect the battery of your car for at least 10 minutes and turn on the engine of your vehicle again. Wait for a while to allow your transmission to warm up. Check if the problem still persists after the resetting. If the problem remains you should go ahead and check the check engine light of your vehicle as it will be able to detect the problem. Then you can use the scanner to read the error codes that are recorded and refer to your service manual for those codes. After diagnosing which the error codes, there is still a chance that the problem may be due to bad or damaged electrical wiring. Therefore, you should analyze the wiring schematics associated with it and test the wires by tracing them all the way to the transmission control unit. You should also check the connectors and pins if they are placed properly. where can i buy tcu in the philippines for 2012 strada triton? I would check Ebay for this one. However, you need to reprogram the immobilizer and the new TCU to make it functional.